…or the girl that loves to stare at herself in the big dancing mirrors! ^^ Please excuse the fuzziness. Taking pictures in between mini blinds is hard work. Sometimes I aced it, other times not so much. But this picture of Isla smiling at herself in the mirror is just too cute not to share. 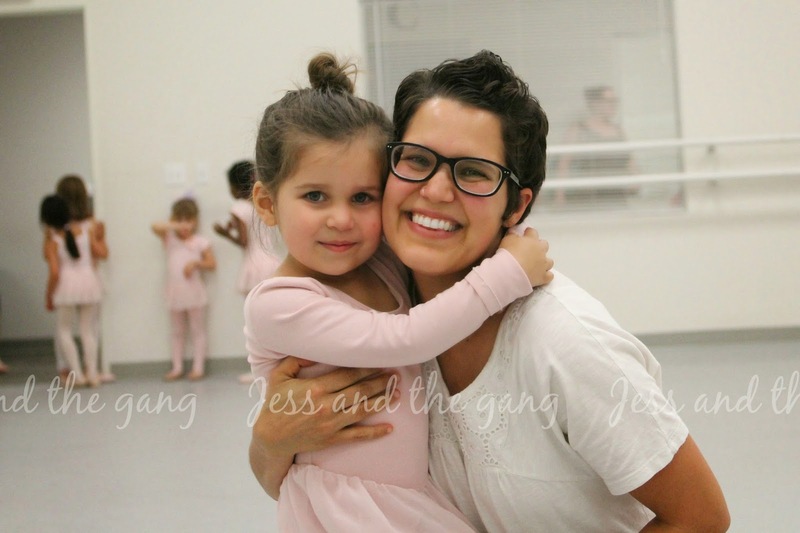 On Monday, Isla had her last ballet class. 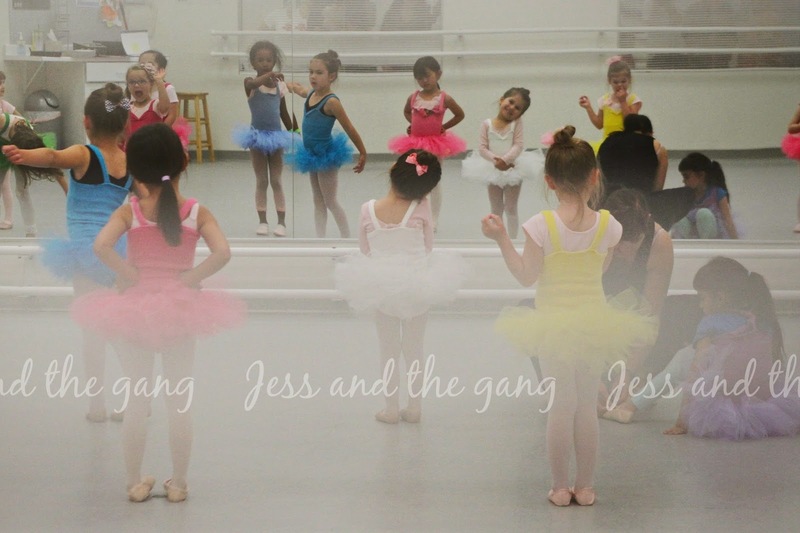 The course was just six weeks long and really meant to give kids a taste of what ballet is. It definitely seems like something Isla enjoys and I am thinking I will sign her up for ballet in the fall. In the last class, the teacher let the kids pick out leotards to wear. Isla actually chose purple, which she currently claims to be her favorite color, but it was too big, so white it was. 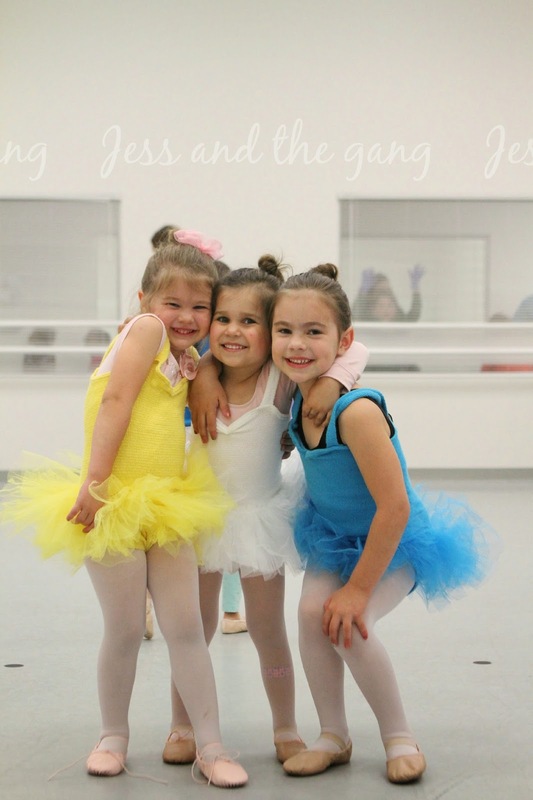 The girls got to take turns dancing across the classroom, then practiced their little dance routine a couple times before the teacher invited all the parents in to watch. I wasn't sure if Isla would get stage fright with everyone watching, as sometimes she seems like she doesn't like a lot of attention on her from people she doesn't really know, but she did great. Their little routine was to the itsy bitsy spider and at one point she loudly sang along to the song. It was both funny and cute. I am happy to have found something that Isla so genuinely enjoys and look forward to watching her get to continue to do it in the fall. oh.my.gawd. Those first two pictures are just the best! 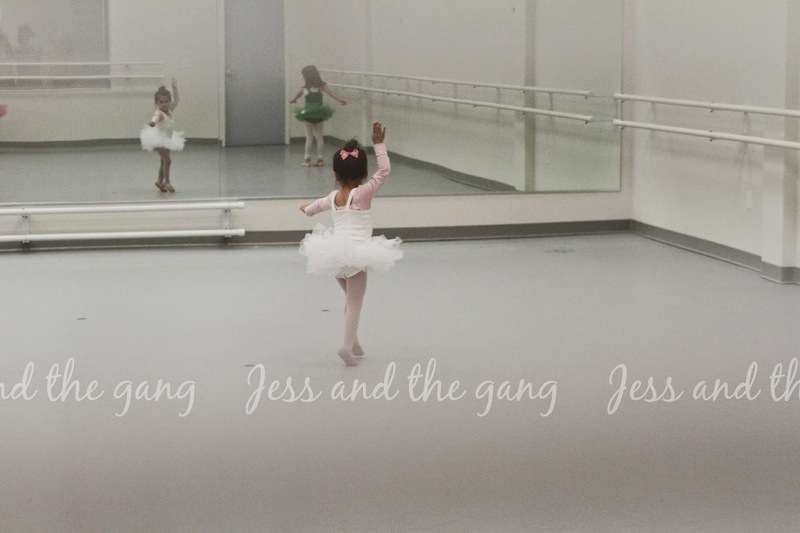 I love that we both have budding ballerinas! Please check your facebook messages asap!! It's really important.